World Ag Expo, February 12-14, 2019 in Tulare California. See you at the World Ag Expo! How? Simple. It’s a proven combination of sensor, router and software, combined with dairy experience, years of research, testing and development. CowManager provides the most accurate and real-time information about four areas: fertility, health, nutrition and location. These modules are based on ear temperature, activity, rumination, eating and resting time. The CowManager system is the most accurate heat detection system on the market, providing not only the intensity of the heat, but also the stage of the heat and insights into the cow’s cycle. All the information you need for insemination. 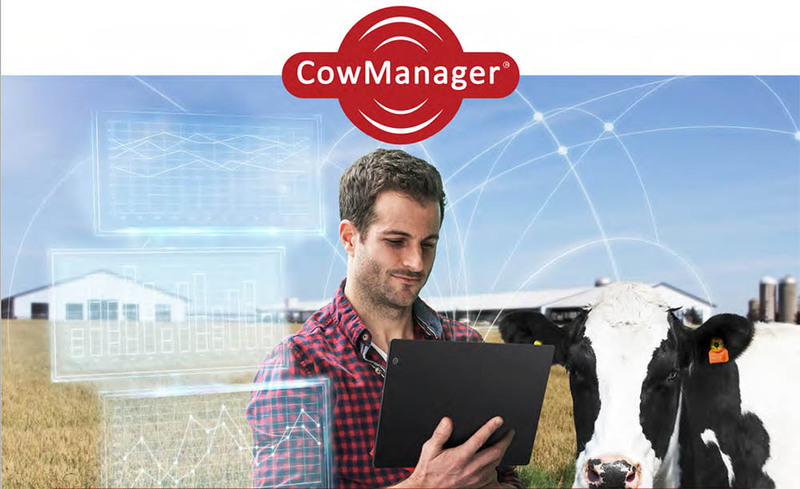 By providing insight into the eating behavior of individual cows, management groups and the entire herd, CowManager gives you the perfect assessment of the right ration for your herd. CowManager is also an excellent tool to monitor cows in the transition period. CowManager will alert you immediately to any cow that is not eating or ruminating and/or has a drop in ear temperature. This gives you the ability to intervene early, saving you money on labor and antibiotics and reduces milk waste. No more hide and seek. Searching for cows in heat, sick cows, cull cows and cows in the wrong pen on dairies of all sizes will now be an easy and time saving task, allowing you to spend your valuable time elsewhere.